It may feel as though the dust hasn’t fully settled on Christmas 2015 yet, and we are already talking New Year’s 2016, right?!?! RIGHT! Let’s face it, we only have 5 days till New Year’s Eve and it is prime time right now; In terms of finding the perfect dress, munching on the perfect meal and drinking the best champagne! Boy do we have the perfect Holiday Dessert Bundt for you and your loved ones. We tested it out on Christmas and it was a success! Bake 43-50 Minutes or until the house smells like an exploding Orange Tree! 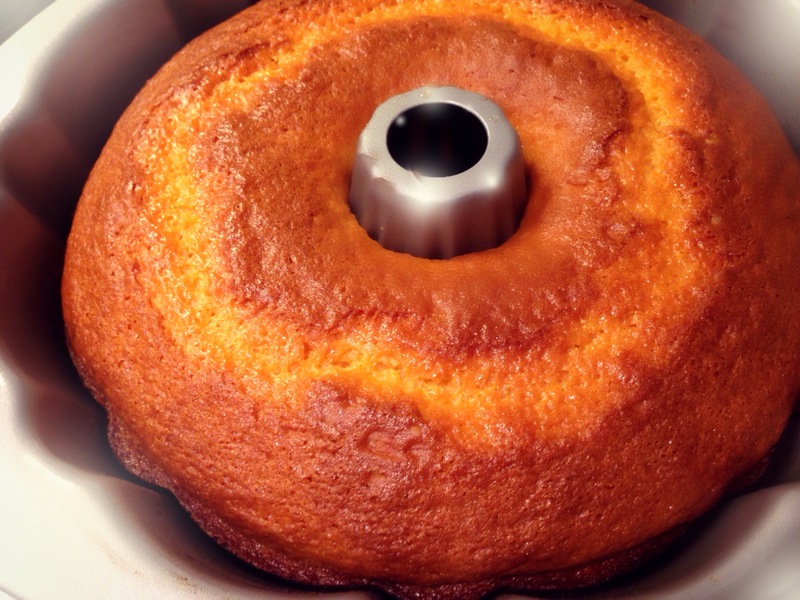 Allow Bubdt to cool in pan, on rack for 2-3 Hours; when you flip Bundt over onto serving dish, drizzle with frosting! Pour frosting on Cake & Leave to Settle!